With my recent good luck with UD Premier, I decided to stay with Upper Deck products this week. 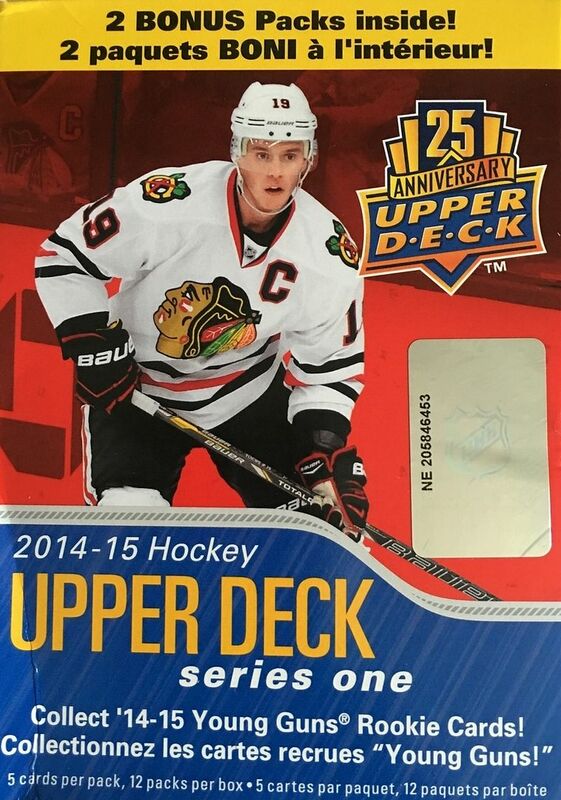 This morning I'm going to try a blaster of 14/15 Upper Deck Series One. Series One is always a fun break since it's filled with great looking cards and the opportunity to pull Young Guns. The quality is certainly high with this product. Let's get to opening up this blaster! I'm happy to buy these blasters for about half their original price. 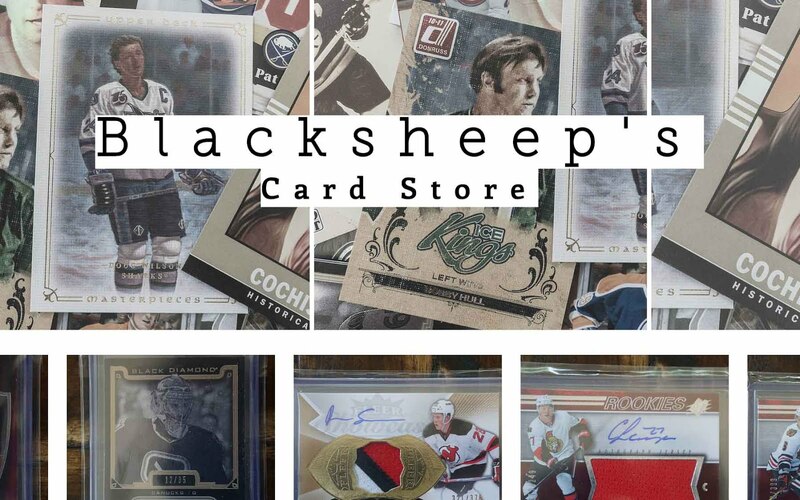 If there's one thing that happens in hockey cards, the prices will come down to what they should be otherwise a product will not sell. For about 10 bucks, this blaster sits at a nice price. I like that these blasters provide collectors 12 packs to bust when opening them. It gives the person who bought it a real breaking experience. Nowadays it's very common to only have a few packs in retail... and even in hobby. To have a good number of packs in a blaster is a blast to the past that's pretty sweet. I'd say this was a solid blaster of Upper Deck Series One. I was able to pull some nice insert cards as well as a couple strong Young Guns from this year. The Young Guns are probably the hottest thing going for Series One, so getting a good one is always great. I also really enjoyed the base cards from this break. I was able to see some killer photos on the fronts of the cards and there were a number of San Jose Sharks. 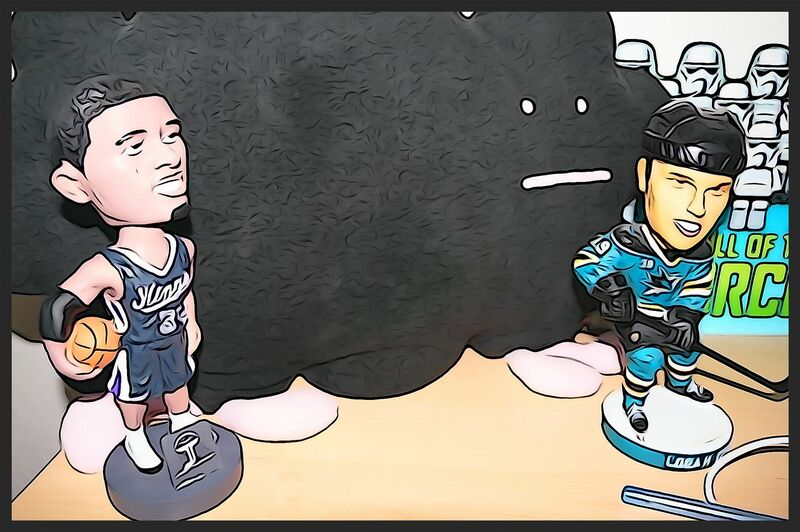 I'm always happy to pull Sharks out of packs - base or otherwise! The Young Guns are always a big draw when buying Upper Deck Series One and Two. 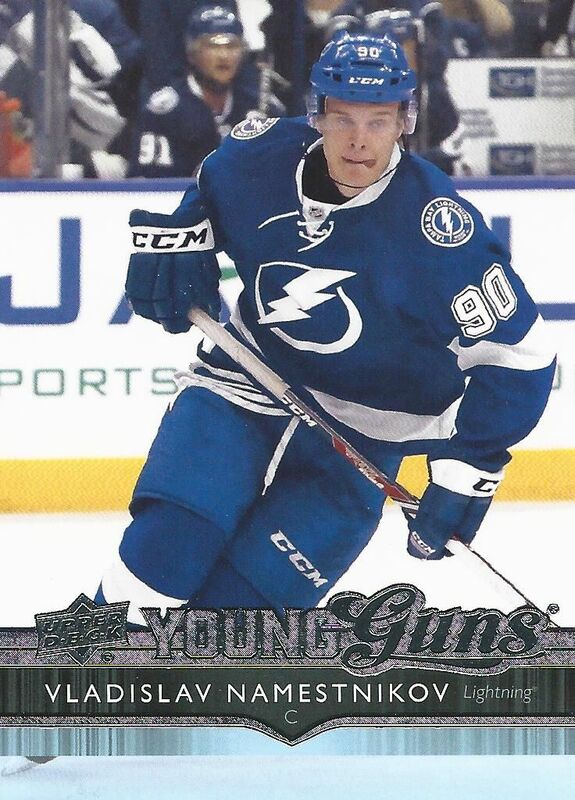 Namestnikov isn't a huge name, but he's one that I know, and that's better than getting a complete no name player. 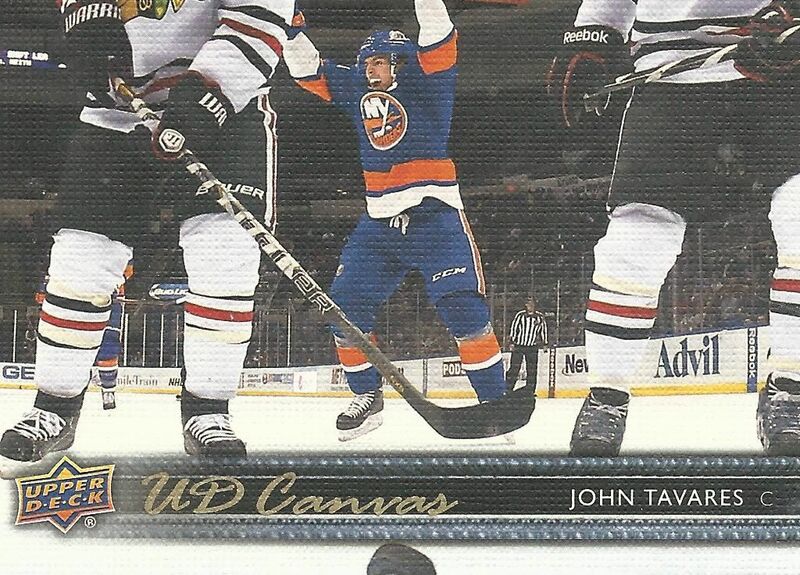 This Tavares card is really awesome. I love the photo and I love that the card is done in a horizontal fashion. It just shows so much of what has just happened in the game. This card really stood out to me among the rest. 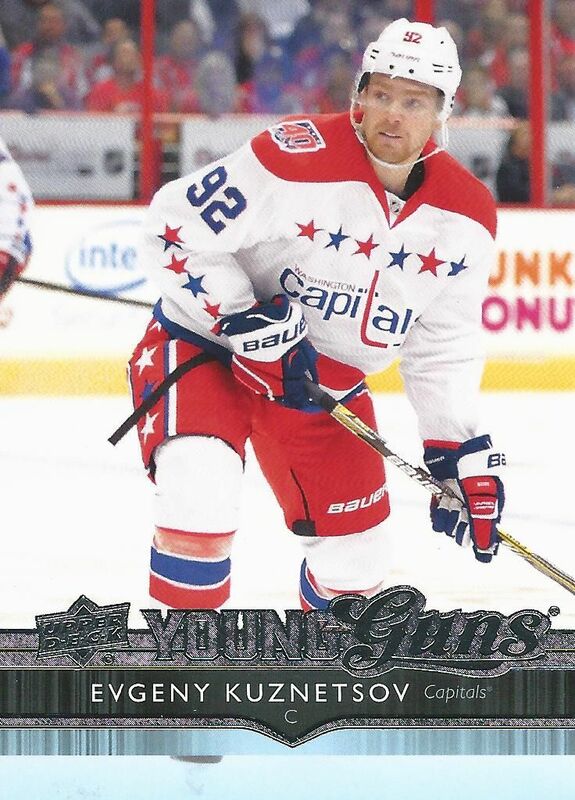 Kuznetsov was a very nice hit for me in this blaster. He's a very solid player and his Young Gun commands a pretty decent price. I'm very happy with this particular pull from this blaster. This blaster of Series One was a winner. Sure, there weren't any hits or anything like that, but the cards I pulled were very solid pulls and the opening experience was a lot of fun. 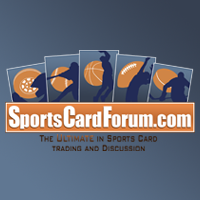 Upper Deck is never a hard recommendation for me to give anyone looking to get a nice value at the retail level! Your good luck continues! Give me some of that luck please!